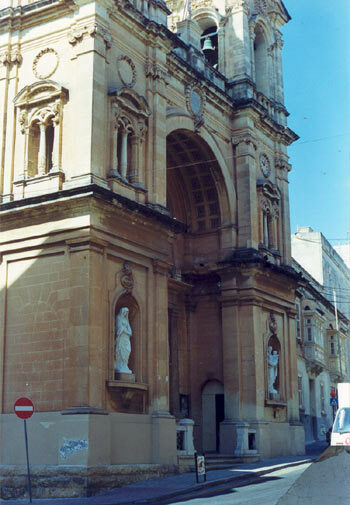 Information: Sliema became the summer resort for Valletta people in the middle of the 19th century; at first the small church of Our Lady of Divine Grace was sufficient for the needs of the people resident there, but when the population increased a new church was built in 1854 and dedicated to Our Lady Star of the Sea. Later on the church was enlarged and in 1878 Sliema became a parish. During this Century other parishes were established in Sliema: the Sacro Cuor parish, St. Gregory's parish and The Jesus of Nazareth parish.